Yesterday I wrote about the decision to convert our study into a playroom and the toy storage solutions we decided to put there. Today I thought I would give you a tour of the room. We have broken the room into zones for different types of activities. The most important zone is toy storage. I showed you this yesterday, but here it is again. 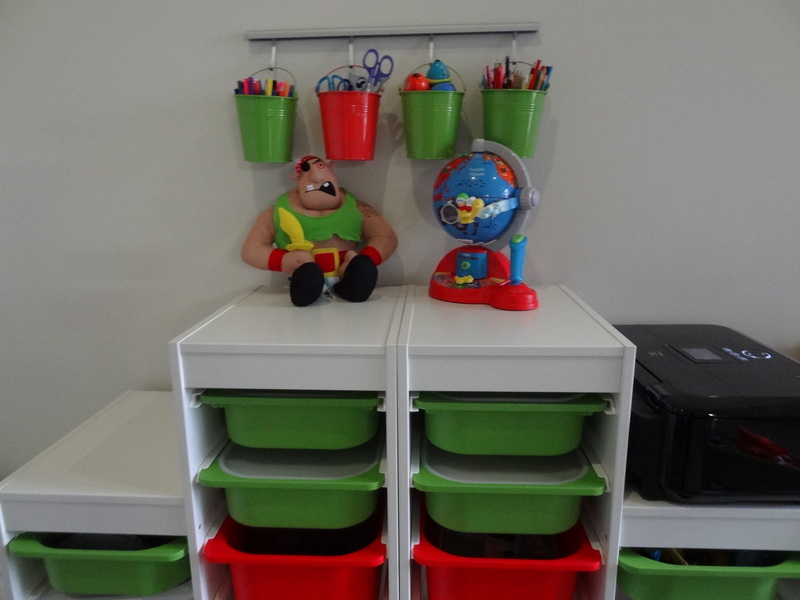 Here you can see our Trofast units and above them is hanging our colouring pen storage that I wrote about the other day. The large green flexi tub holds all my 3-year-olds art and craft supplies. Not the best solution, but at least it can be easily moved around. 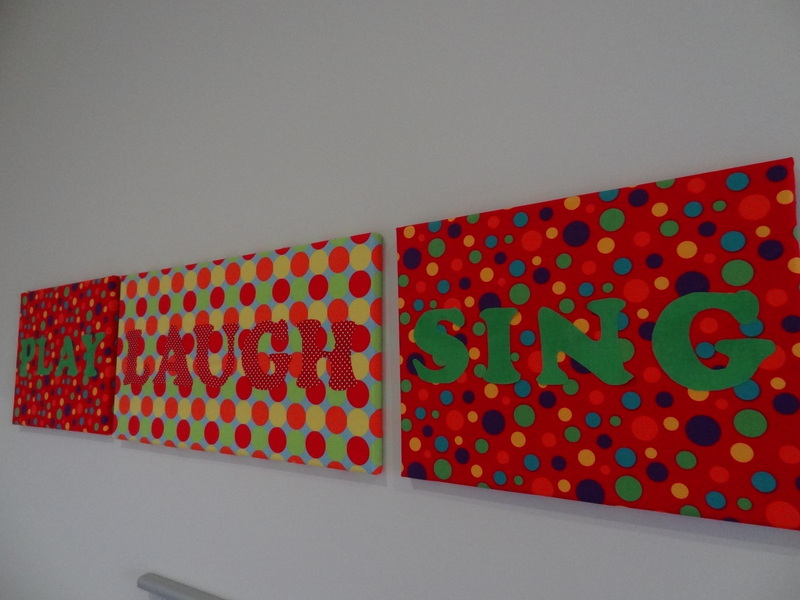 You can see in this picture my set of three canvas with the words, ‘Play Laugh Sing’. I wanted to brighten up the room with some bright colours and patterns reflecting the red and green of the Trofast tubs. 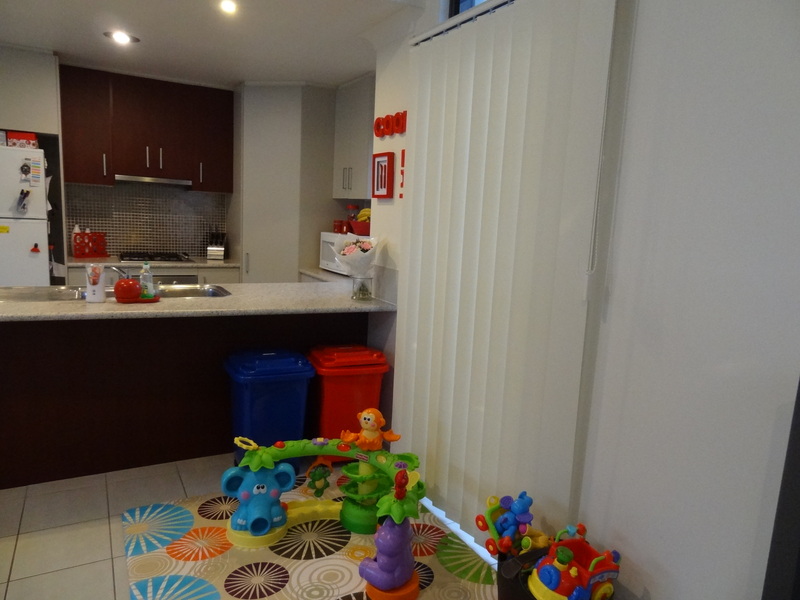 As I was unsure if the room would work as a playroom, I didn’t want to spend a fortune on decorating it. I picked up some coordinating fabric at the local haberdashery and covered three plain art canvas with my favourite fabrics. I printed off the letters I needed from Microsoft Word and traced these onto my chosen fabric’. When I had cut them out, I stuck them to the canvas with spray adhesive. This has worked really well, no fraying or falling off. We have put the creative zone in the corner of the room beside the windows. It gets great light and has a lovely outlook. On the desk I keep a collection of colouring and sticker books for Mater O to grab when the mood takes him. I store these in a file divider. 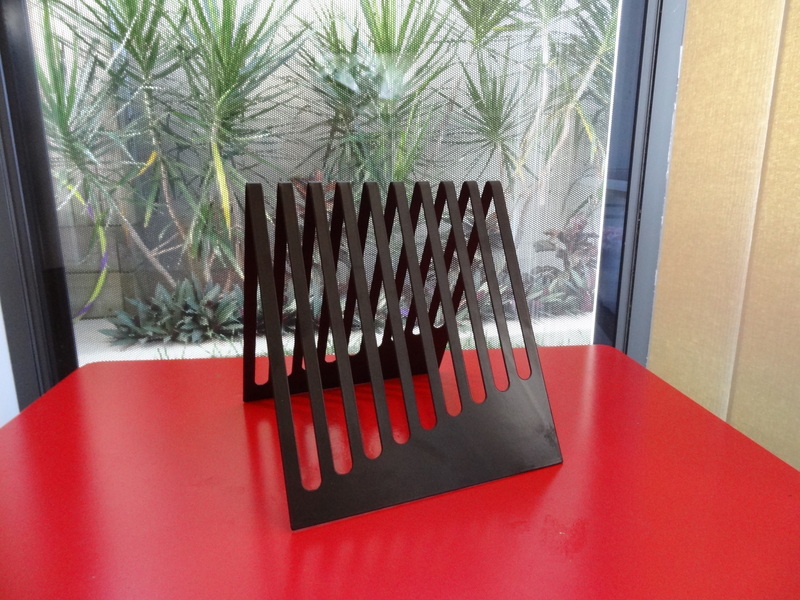 You can read about how I use these to organise things in my house here. The final kid zone is the reading area. I have a small bookcase in the corner and a comfortable couch for him to snuggle up on and read. If Mater O disappears and the house is quiet, I often find him sitting and reading here (that, or he is off doing something naughty ;)). 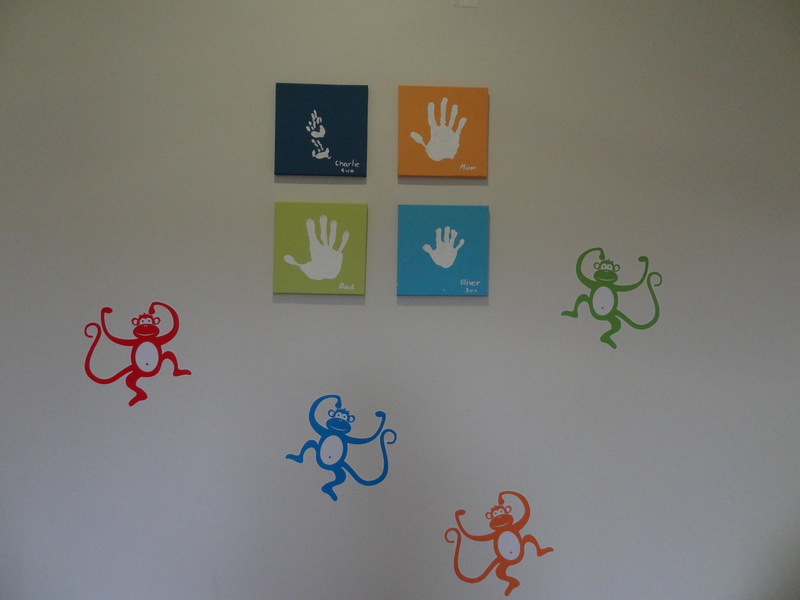 In this area we have stuck up some cool monkey decals from Bright Star Kids and a set of family handprints we did when Charlie was born. 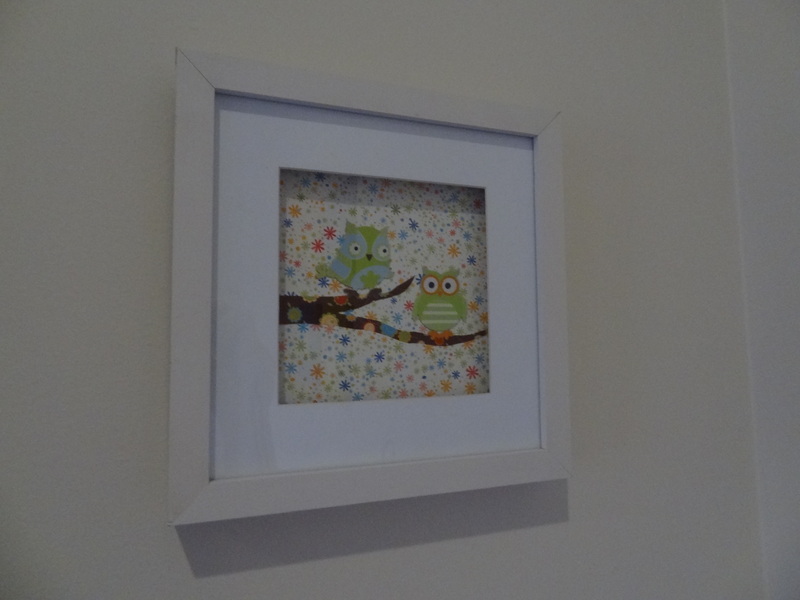 Above the bookcase I made my own owl picture in a shadow frame I was no longer using. I had picked up some cute cardboard owls at a craft fair and using some patterned scrapbooking sticker paper, I created a background and a branch to stick the owls on. The remaining zone in the room is mine – the computer/work zone. It has worked well in this room, as when I have work to do, the kids can happily play beside me. Above the computer we have framed a painting we bought from a local artist when we were living in the Solomon Islands. My husband and son LOVE fish. 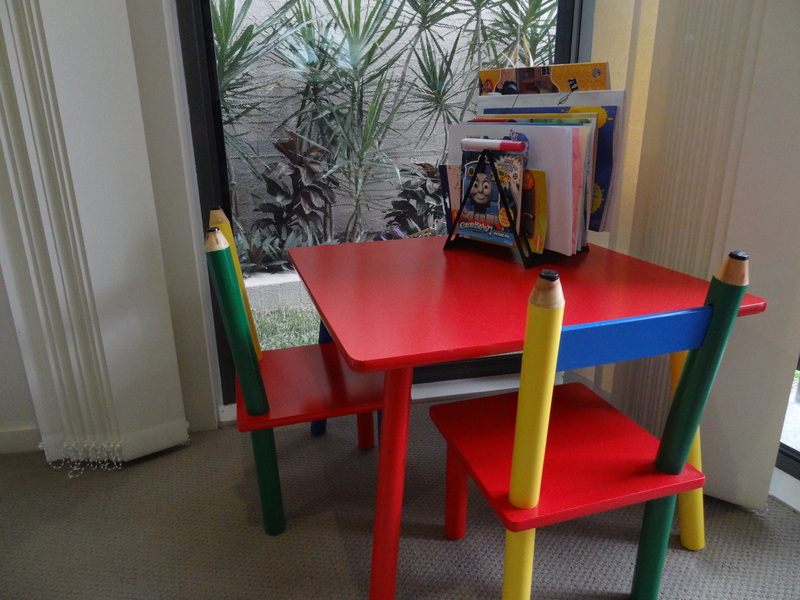 So that is our playroom/study. It isn’t overly fancy but it is bright and neat due to some really good storage solutions. 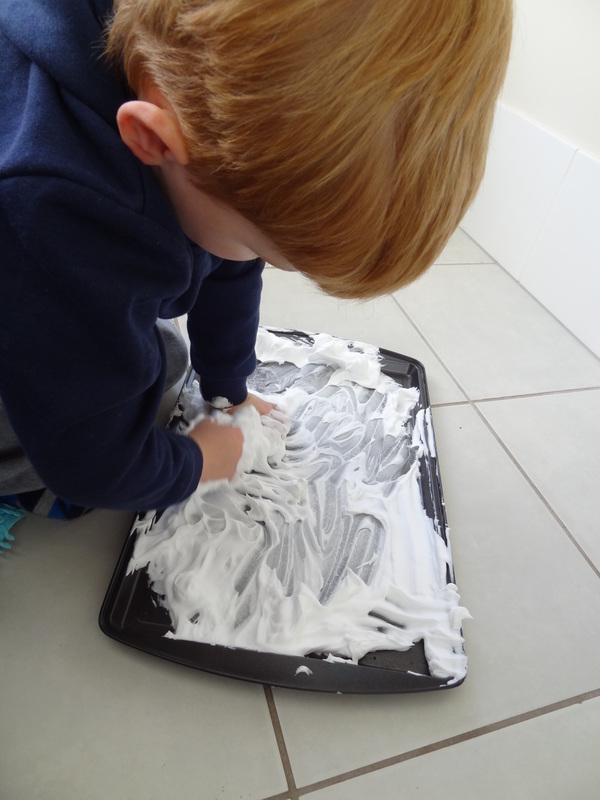 Master O loves having run of the room and has become really good at caring for it and keeping it clean – one less job for Mum! Space is at a premium in our place. With the addition of Master C to the fold late last year, I have had to become ruthless in disposing of unnecessary ‘stuff’ and inventive with both space and storage. Like with most mums, toys are the headache in my day. Up until early this year, Master O’s toys were stored in the lounge room. As we have an open plan living space, this seemed like the best option. There was enough space and he could play in full view while I cooked dinner or got the odd minute or two to sit and relax. I had purchased a few kid’s wheelie bins for his toys that sat under the kitchen bench and they stayed relatively out-of-the-way when not in use. But the problem with this was, when he wanted a toy that was not sitting in sight, the whole bin was up-ended, sending toys sprawling across the floor. To add to this mess, I was dragging baby toys, mats and bouncers from storage and dumping them in the living room for Master C. The clutter was really doing my head in and I soon realised that an increasingly mobile baby would no doubt find something dangerous amongst the ‘big boy’ toys. A solution had to be found. 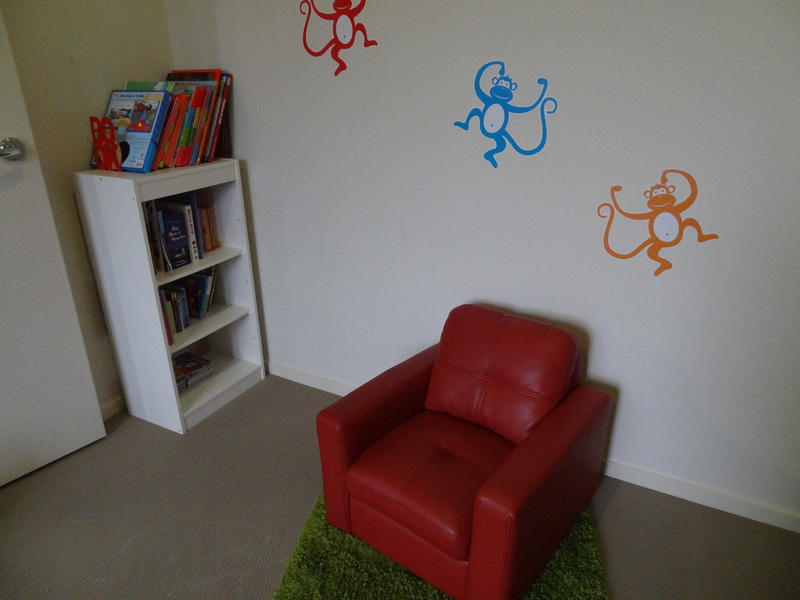 We decided to convert our very under-utilised study into a playroom/study. By ridding ourselves of the huge and mostly unused office furniture and downsizing to just a small desk, we had more than enough room to devote to kid’s play. 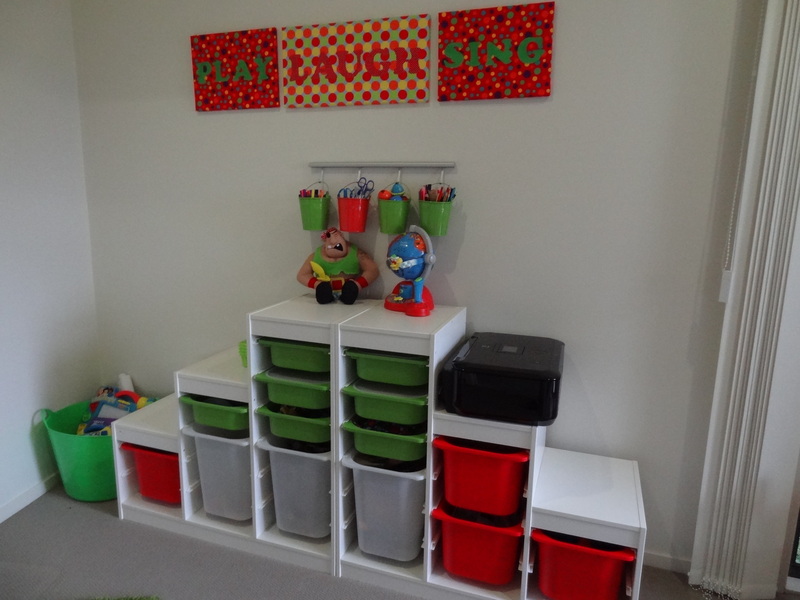 After a lot of research I decided that the best toy storage to suit us would be the Ikea Trofast range. They come in a variety of finishes, sizes and styles that house either tubs or shelves. I liked the fact that I could separate and group the toys into an appropriate sized tub. This would make them easier to find and clean up. Before purchasing this, I took stock and organised the toys Master O had accumulated in his short time on earth. Store – toys Master O had grown too old for but were in good condition and could be passed onto his little brother in the future. The decision to keep these meant I had to put in place a whole new storage system elsewhere in the house which I will blog about later. Once I was left with one pile of keepers, I was able to sort these toys into groups like blocks, finger puppets, matchbox cars, play dough, puzzles etc. This was invaluable in helping to choose which Trofast unit to buy and then the correct number and size of tubs. 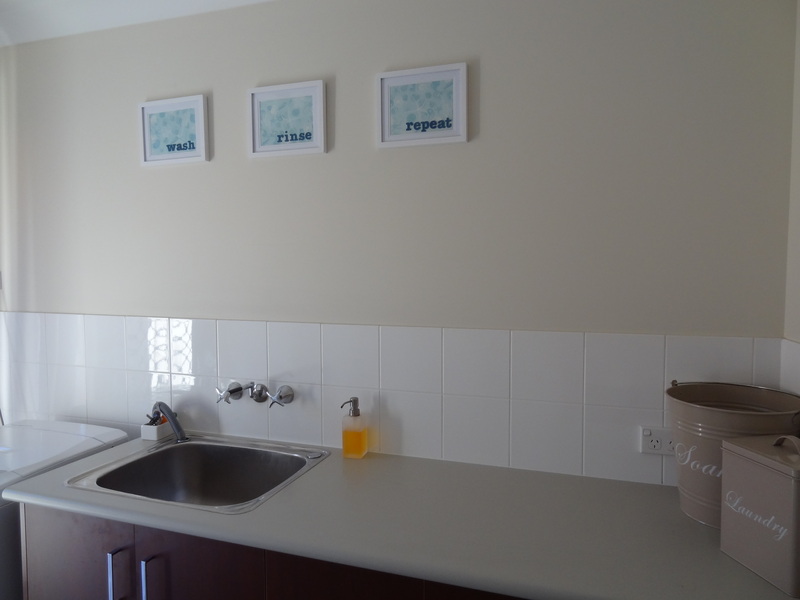 I purchased two multi-level units in white and a combination of large, medium and small tubs. I liked that the units allowed me to display larger toys or more frequently used items on the top and it also gave me a spot to put my printer. 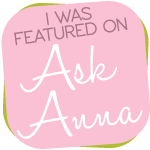 I also loved the idea of the tubs being opaque so I couldn’t see the mess inside the drawers. So, it has been a while since I purchased these units and I am really happy with them. To make them more kid friendly to use, I had considered putting pictures up of the contents on each of the tubs. 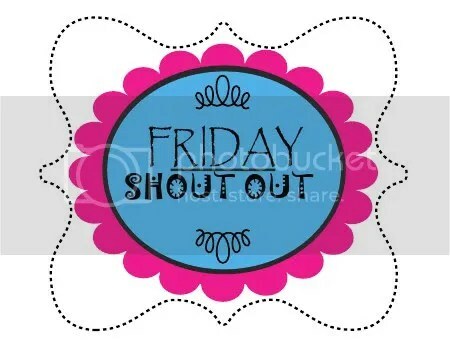 Tip Junkie had some free printables and a tutorial on how you could make your own, but Master O hasn’t needed it. He remembers where everything goes and I cannot believe how reduced the toy mess has been and how easy it has been to keep tidy and clean. Being a whirlwind type of boy, he is certainly tough on it, pushing and pulling the tubs out roughly and throwing toys back, but they have more than stood up to the test and still look brand new. I have kept one of his rubbish bins to store his big trucks. Storing these in the Trofast tubs would have been a waste as he likes to play with these all over the house. As the bins are on wheels, he can push the trucks to any spot he desires. 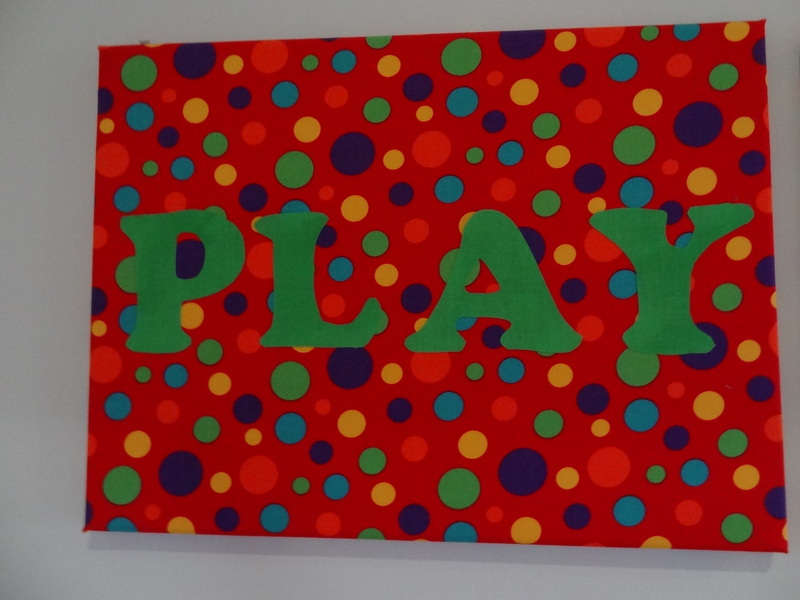 Pop back tomorrow and see the rest of the play room and get some tips on some easy DIY art. My niece is 18 months older than Master O. Apart from being purely delightful she has also been my ‘man on the ground’ so to speak, showing me what is coming around the bend in the parenting game. Miss L loves to draw. When you walk into her bedroom the floor is littered with crayons, felts and pencils. And when you open her cupboard doors, pens fly at you like little ninja weapons and you spend the next 5 minutes collecting them up. She has an array of pencil cases but in all the play and hurried clean ups before dinner, the pens don’t always make their way back to their home and lids are lost, felts dry out and frustration ensues next time she wants to draw. My sister seems to cope with this, but I am not as patient. So I started my search for a way to store our drawing tools home. I would never contemplate leaving Master O with easy access to his pens. I would prefer he ask for them so I know exactly when and where he is using them. He is not super fond of drawing so if they were packed up out of sight, there could be days go by without us encouraging his creative side. I needed storage that could be put up and out of his way and look good in his play room where I would prefer he drew. 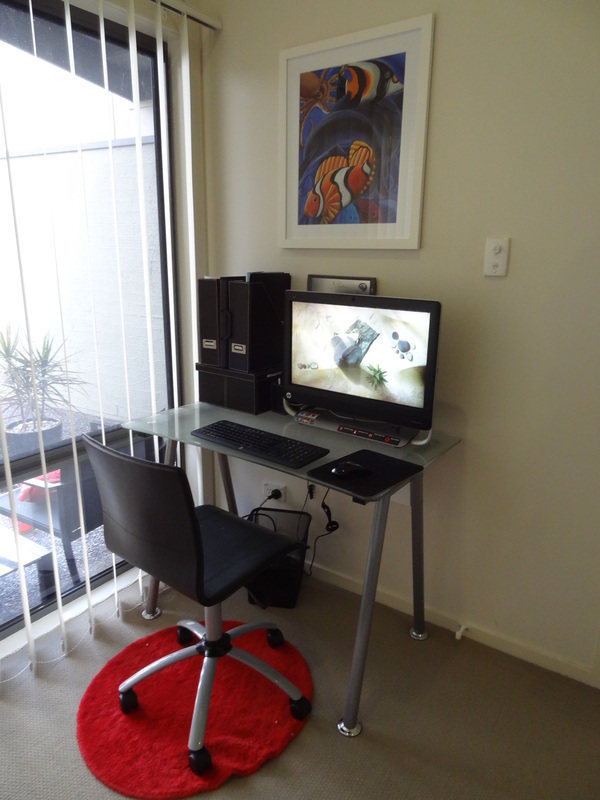 For the set up I purchased the Ikea Asker rail and matching hooks, which I also used in creating my command centre. 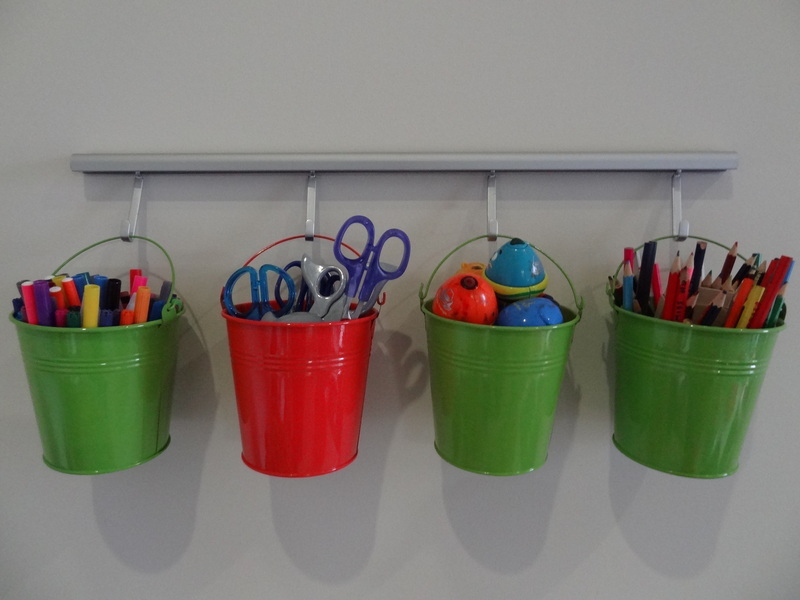 From the local two dollar store, I picked up a few brightly coloured buckets to hang of the hooks. In a few quick minutes I had attached the rail to the wall above my other Ikea purchases, Trofast storage units and the pens and pencils were safely about of reach of sneaky little hands. I couldn’t believe how well the colours of the buckets matched the trofast tubs! Now Master O only needs to ask if he wants to draw and I can get down the bucket containing his preferred writing implement and can keep an eye on what is going on. Linking up with some of these great parties. 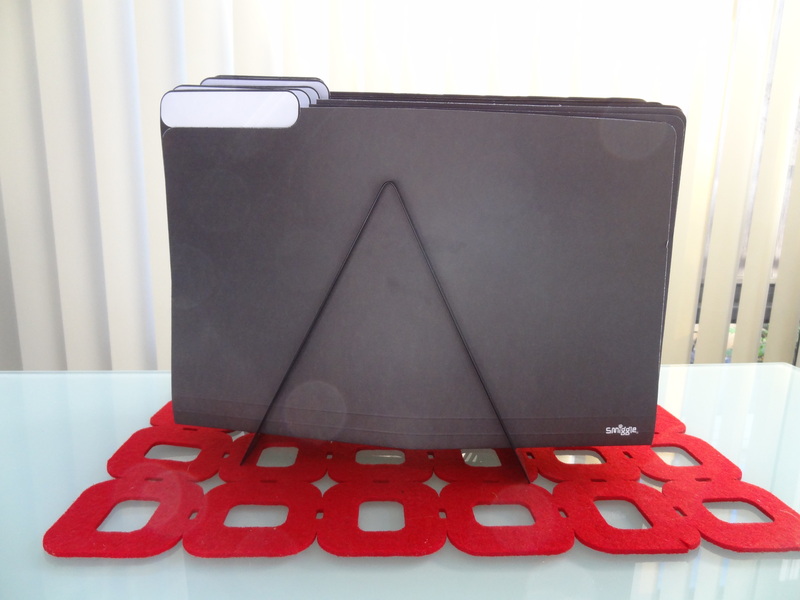 I stumbled across some file dividers like this on a clearance rack at stationery store the other day. They were only $2. 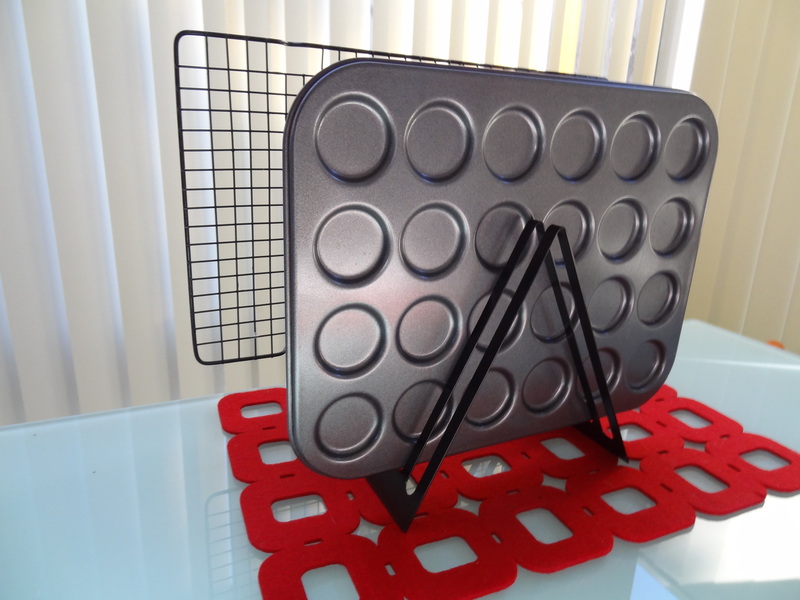 I bought three because I know they can have heaps of uses around the home. 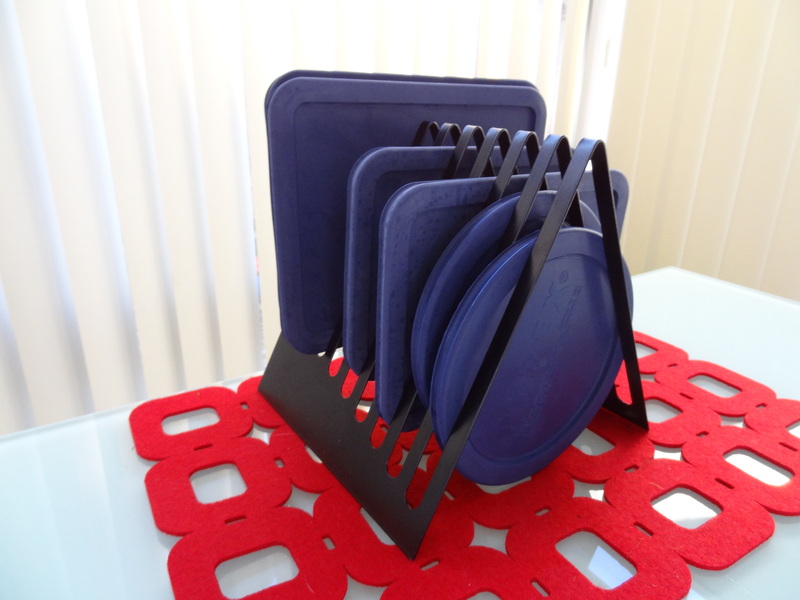 I thought I would show you some of their uses, so that if you happen to come across them on a great deal like I did, you can pick some up to organise your abode. 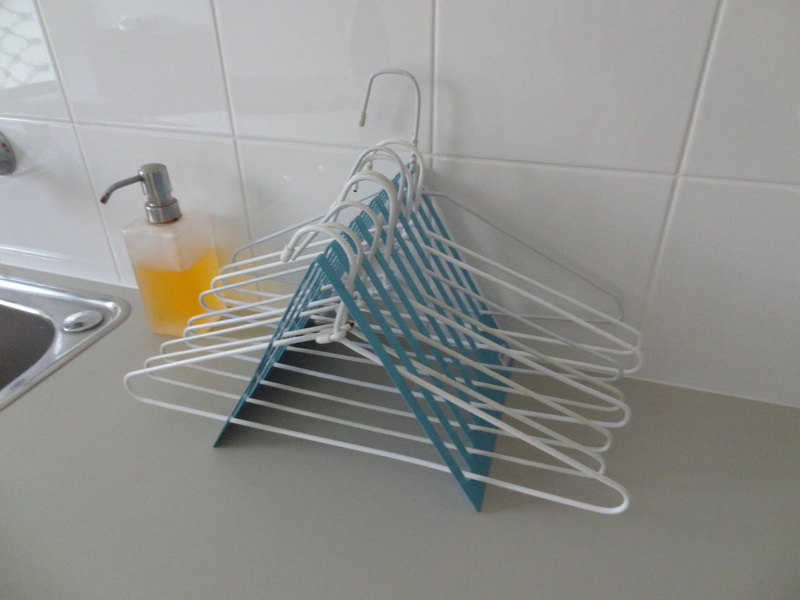 and to store coat hangers neatly in the laundry. 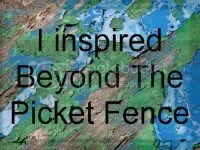 Have you any other ideas? While we wait for our cabinet-maker to slot our laundry upgrade into his busy schedule, I have been itching to start making some art for the walls. Tired of waiting I just did it yesterday. Previously, this hung above the counter. While they don’t look too bad in this photo, they were becoming a little tatty. They were also too big. As we are getting new cabinets, the wall space will be significantly reduced, meaning smaller artwork was needed. 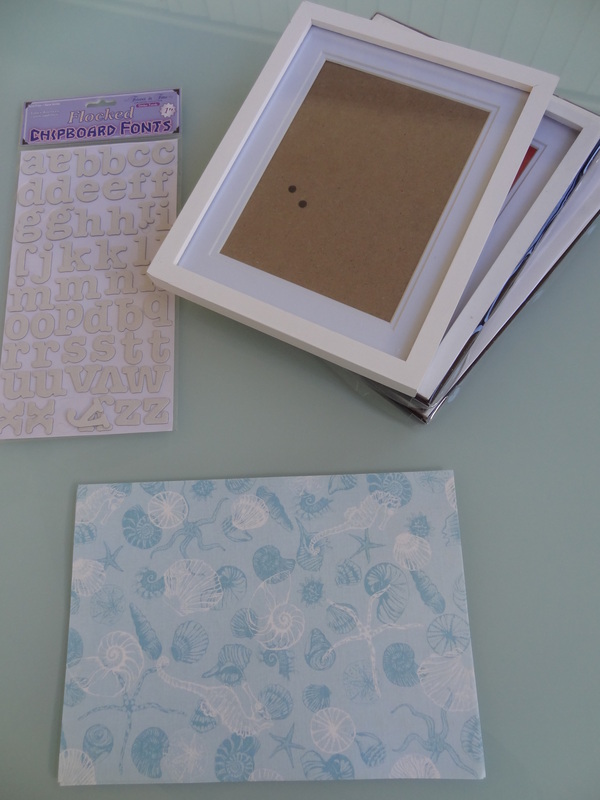 I picked up a few plain white frames, some seaside patterned cardstock and cardboard letter cutouts from a craft store, in the hope of making some simple, clean-looking art. 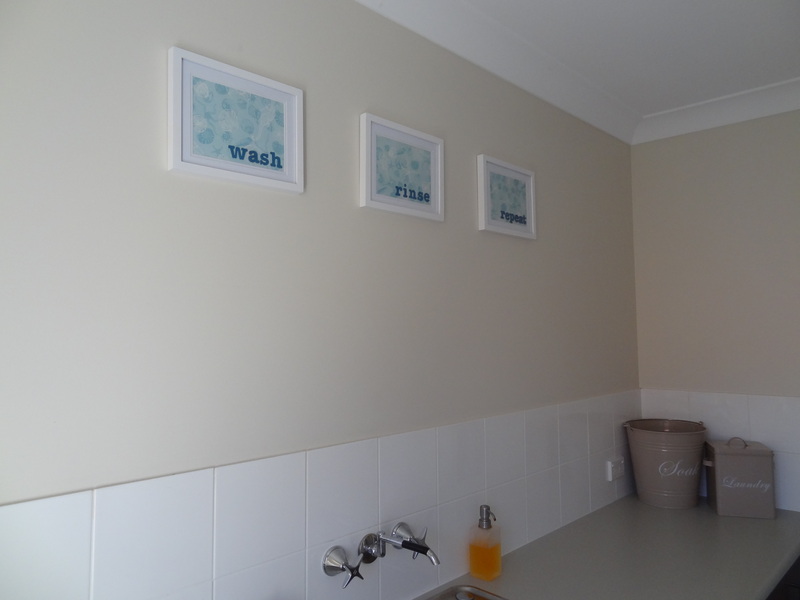 I have written about my love for typography in my kitchen wall art post, so I thought I could easily feed this love by slotting more into the laundry. After painting the cardboard letters a dark teal colour to match the seaside pattern, I stuck the cardstock in the frame. 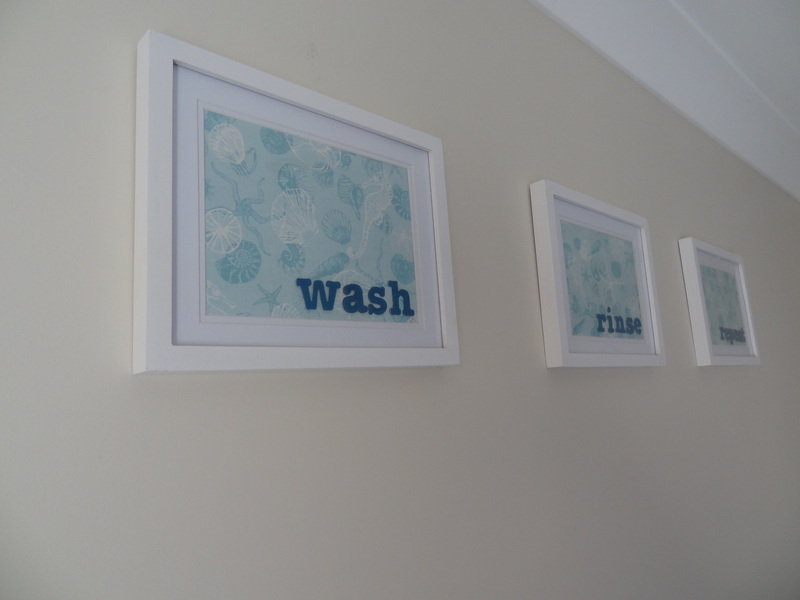 When the letters were dry, using a hot glue gun I arranged the letters to spell out, ‘Wash, Rinse, Repeat’ and stuck them in the bottom right corner of each frame. Even though they will move when the cabinets are hung, and they are positioned a little too high for my liking, I had to hang these already. I like that they look neat and clean while being really, really simple to make. I hope I can show you these in their proper home (and my new laundry too) before too long. Master O and I had a bit of fun practicing his drawing and letter skills yesterday. 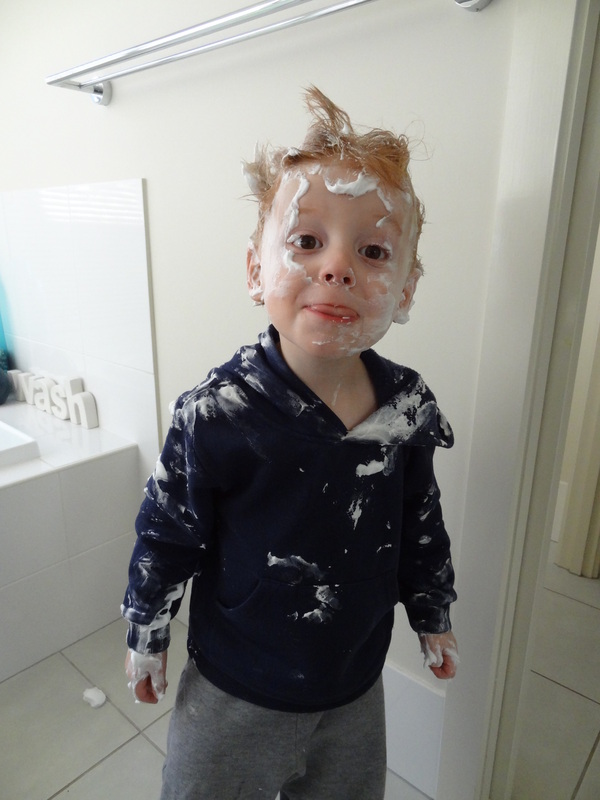 I popped some shaving cream in the bottom of a cookie sheet/tray and let him go to town. 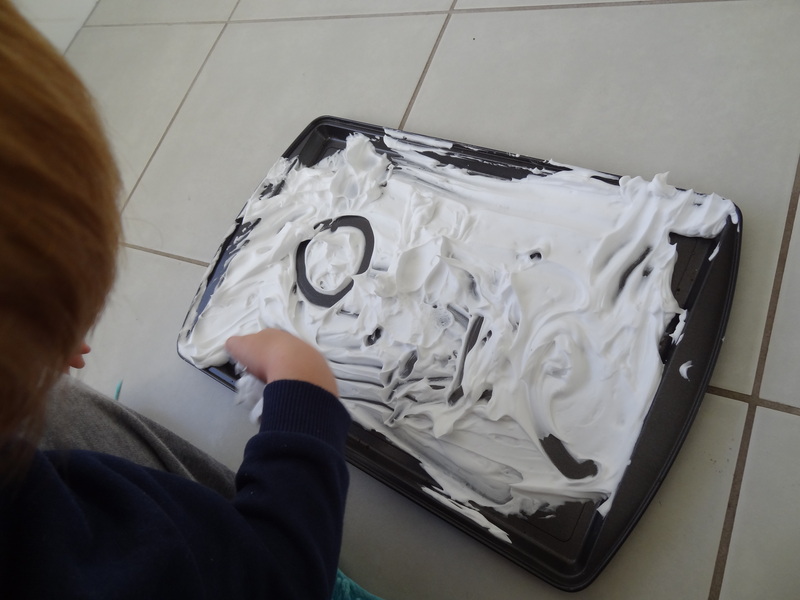 Allowing them to practice letters or numbers in this tactile manner can help with learning. 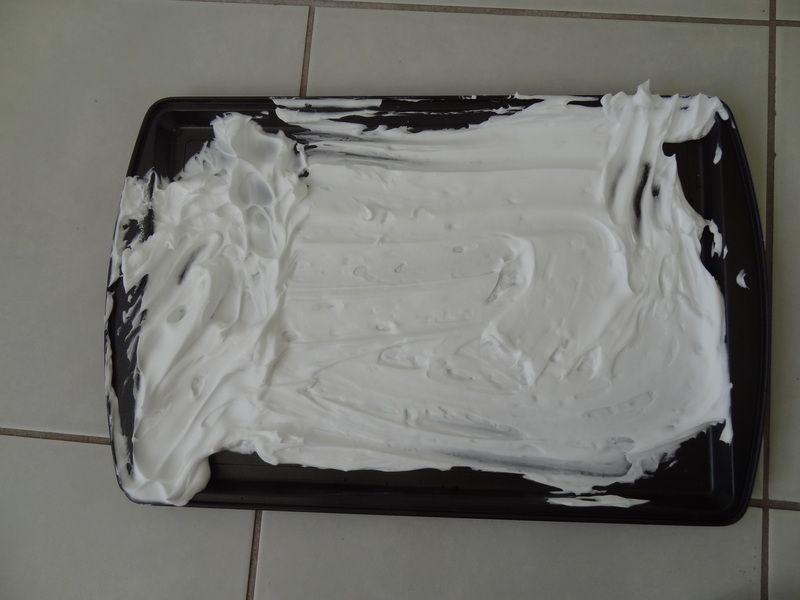 I suggest you do this outside or in a tiled area like the bathroom for easy clean up. 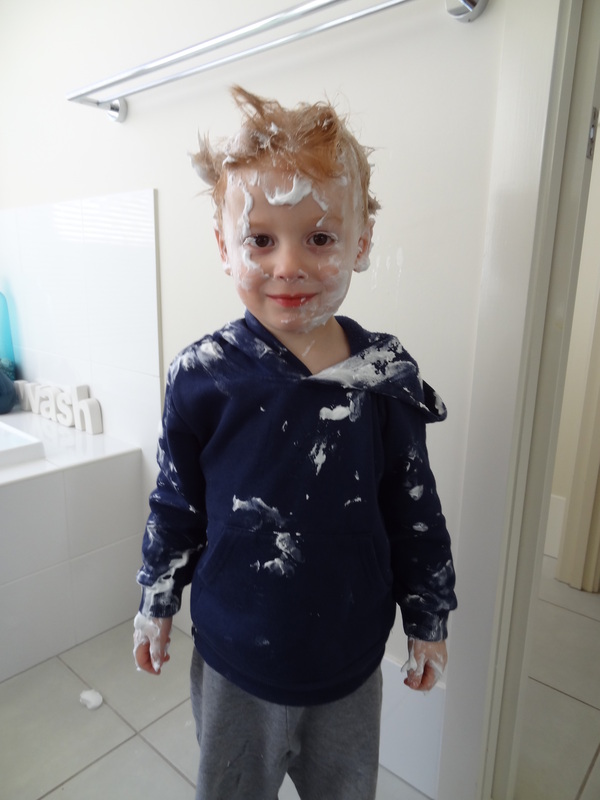 Our little learning experience deteriorated into a shaving cream fight and resulted in….. I won. My prize? Another load of washing, shower and bathroom clean. Yeah! Master C, being born at the same time of year as his brother, is wearing all his hand-me-downs. As he begins to wear a new season’s lot of clothes, I have found a few pieces that are no longer suitable to wear. This shirt’s neckline is stretched too much to wear. But look at it’s cute motif. 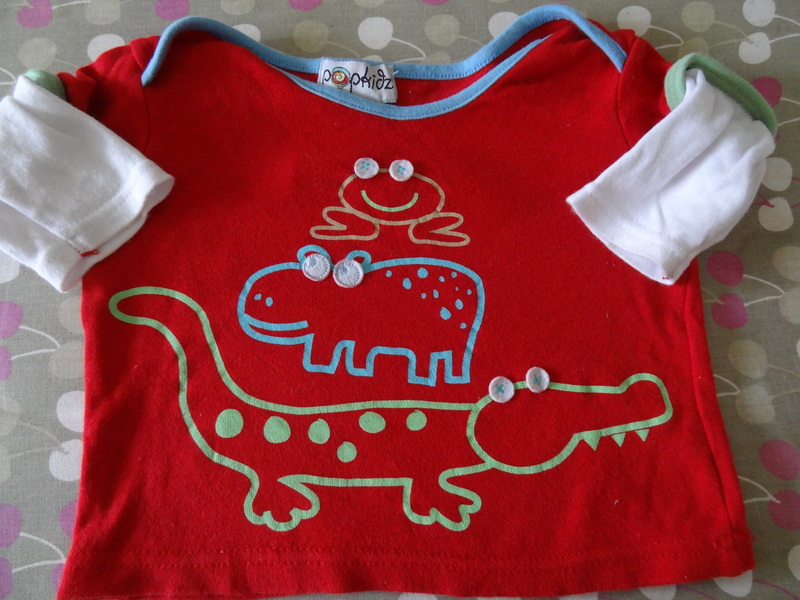 As the shirt’s material and motif otherwise look virtually new, I hated the idea of throwing it out. 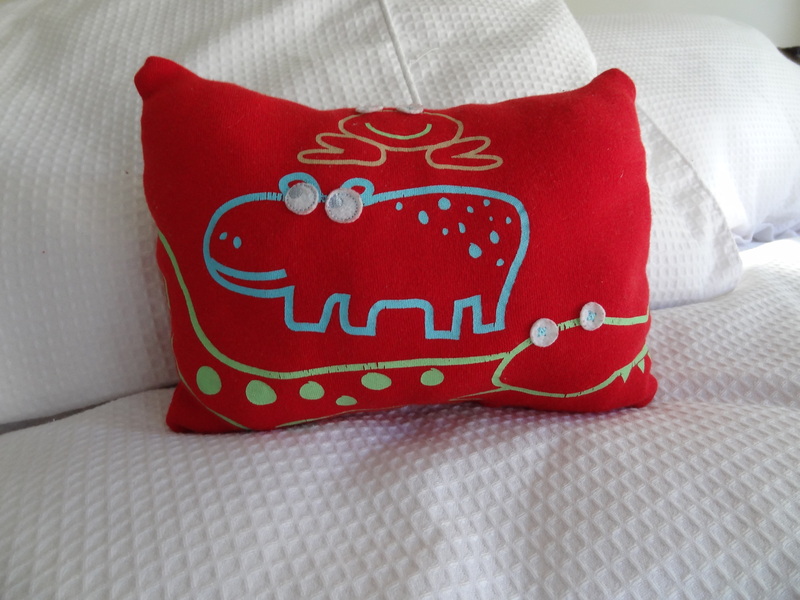 Cutting off the sleeves and running a few quick hems up on the sewing machine, I had created a cushion cover. Using some wadding/cushion fill left over from an old craft project, the cushion was filled and ready to use in just minutes. My 3-year-old nabbed it as soon as he saw it. It has been squished, prodded and poked consistently for a week now, but it is holding up. I have rescued it and moved it to the car so that he can rest his head on it if he gets sleepy.